First impressions are so important. How many times have you heard that? It is true that the first impression—whether it’s a first meeting with a person or the first sentence of a paper—sets the stage for a lasting opinion. The introductory paragraph of any paper, long or short, should start with a sentence that piques the interest of your readers. In a well-constructed first paragraph, that first sentence will lead into three or four sentences that provide details about the subject or your process you will address in the body of your essay. To get your paper off to a great start, you should try to have a first sentence that engages your reader. Think of your first sentence as a hook that draws your reader in. It is your big chance to be so clever that your reader can’t stop. 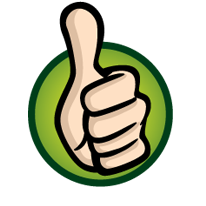 As you researched your topic, you probably discovered many interesting anecdotes,quotes, or trivial facts. This is exactly the sort of thing you should use for an engaging introduction. Consider these ideas for creating a strong beginning. Surprising fact: The pentagon has twice as many bathrooms as are necessary. The famous government building was constructed in the 1940s, when segregation laws required that separate bathrooms be installed for people of African descent. This building isn’t the only American icon that harkens back to this embarrassing and hurtful time in our history. Across the United States there are many examples of leftover laws and customs that reflect the racism that once permeated American society. Humor: When my older brother substituted fresh eggs for our hard-boiled Easter eggs, he didn’t realize our father would take the first crack at hiding them. My brother’s holiday ended early that particular day in 1991, but the rest of the family enjoyed the warm April weather, outside on the lawn, until late into the evening. Perhaps it was the warmth of the day and the joy of eating Easter roast while Tommy contemplated his actions that make my memories of Easter so sweet. Whatever the true reason, the fact is that my favorite holiday of the year is Easter Sunday. Quotation: Hillary Rodham Clinton once said that “There cannot be true democracy unless women’s voices are heard.” In 2006, when Nancy Pelosi became the nation’s first female Speaker of the House, one woman’s voice rang out clear. With this development, democracy grew to its truest level ever in terms of women’s equality. The historical event also paved the way for Senator Clinton as she warmed her own vocal chords in preparation for a presidential race. In each example, the first sentence draws the reader in to find out how the interesting fact leads to a point. You can use many methods to capture your reader’s interest. 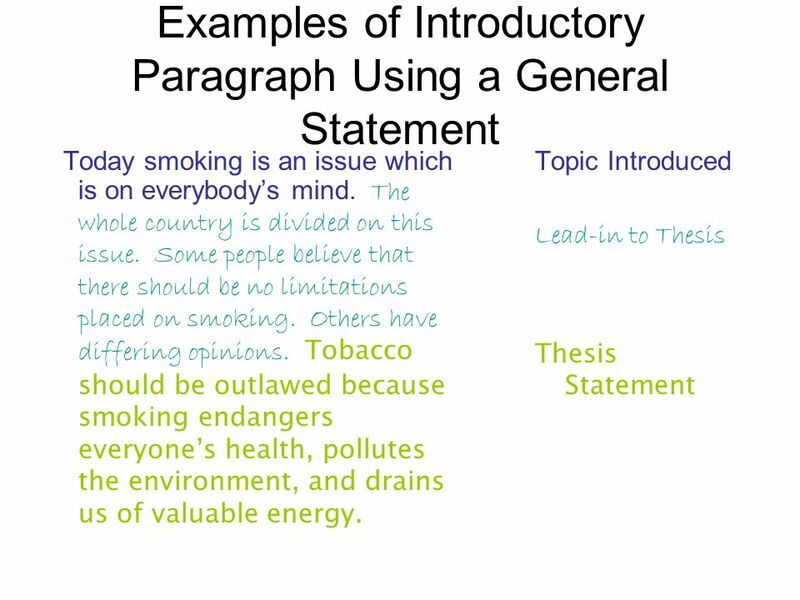 The body of your introductory paragraph should fulfill two functions: it should explain your first sentence and it should build up to your thesis statement. You’ll find that this is much easier than it sounds. Just follow the pattern you see in the above examples. Once you complete a first draft of your paper, go back to re-construct your introductory paragraph. 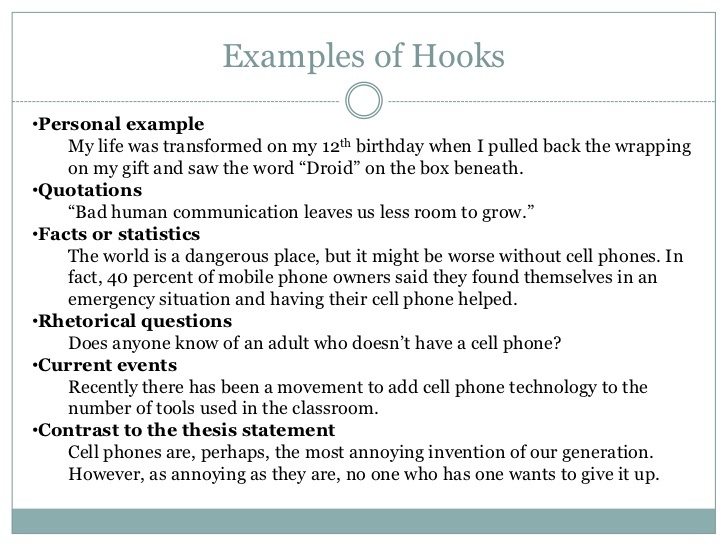 Be sure to check your thesis statement to make sure it still holds true—then double check your first sentence to give it some zing. 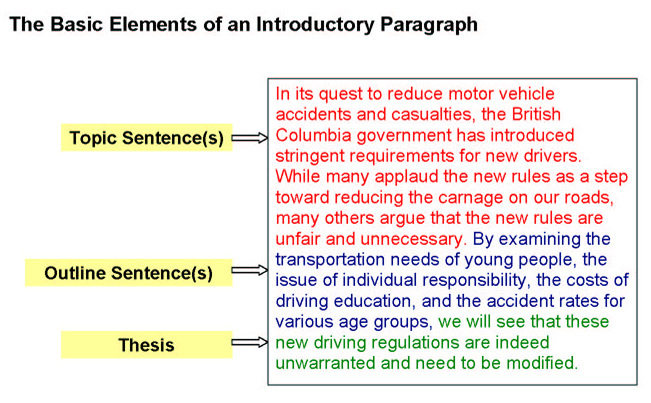 Some Examples how to write Introductory Paragraphs or formulate thesis statements ! Look above for an example of an introductory paragraph for the “Your secret talent” essay using a quotation for the grabber. Remember that the introductory paragraph is the reader’s first glimpse of you and your topic. You want to make a good impression. 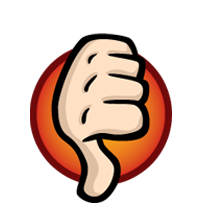 Try writing a grabber for your essay. 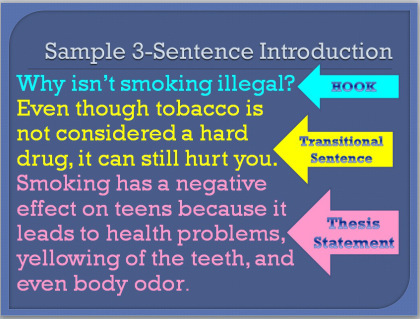 Decide if you need a transitional sentence. 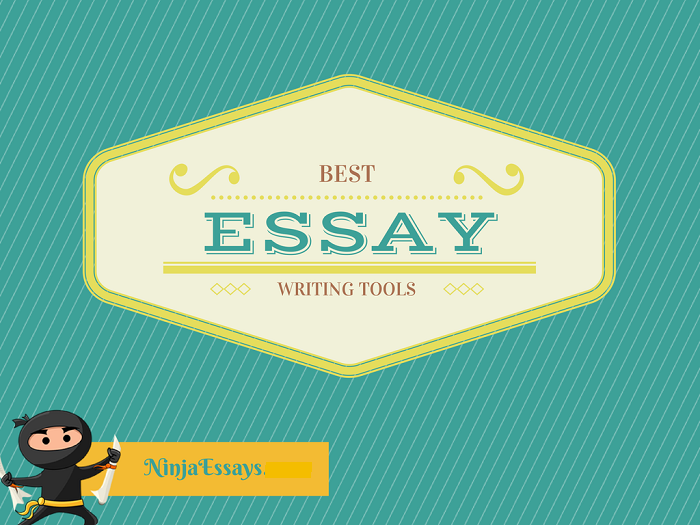 Add the thesis statement that you’ve written. Again, try to be flexible as you work through this process. If your topic, major points, or thesis aren’t working for you, don’t hesitate to rework or revise them as necessary. For more practice join Radix Tree Online Classes. Avail 75 min Assessment for Free Today !